Bruce covered the song only 1 time during a benefit concert for the Vietnam Veterans of America Foundation in 1981. 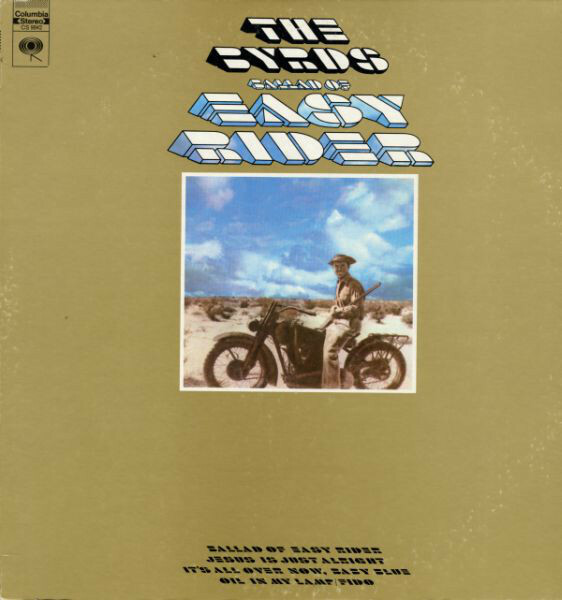 "Ballad of the easy rider" is a song written by Roger McGuinn with input from Bob Dylan (although Dylan is not credited as a co-writer) for the 1969 film, Easy Rider. The song was initially released in August 1969 on the Easy Rider soundtrack album as a Roger McGuinn solo performance. It was later issued in an alternate version as a single by McGuinn's band The Byrds on October 1, 1969. Senior editor for Rolling Stone magazine David Fricke has described the song as perfectly capturing the social mood of late 1969 and highlighting "the weary blues and dashed expectations of a decade's worth of social insurrection." The star and script writer of Easy Rider, Peter Fonda, had initially intended to use Bob Dylan's song "It's Alright, Ma (I'm Only Bleeding )" in the film but after failing to license the track, Fonda asked Roger McGuinn of The Byrds to record a cover version of the song instead. Fonda also wanted Dylan to write the film's theme song but Dylan declined, quickly scribbling the lines - "The river flows, it flows to the sea/Wherever that river goes, that's where I want to be/Flow, river, flow" - on to a napkin, before telling Fonda to "give this to McGuinn. He'll know what to do with it.”The lyric fragment was dutifully passed on to McGuinn, who took the lines and expanded upon them with his own lyrical and musical contributions to produce the finished song. When Dylan saw a private screening of Easy Rider and realised that he had been credited as co-writer of the film's theme song, he telephoned McGuinn and demanded that his name be removed from both the film's closing credits and all subsequent releases of the song. The version of "Ballad of Easy Rider" used in the film and included on the Easy Rider soundtrack album is listed as a solo performance by McGuinn and features the singer accompanying himself on acoustic guitar, with fellow Byrd Gene Parsons playing harmonica.This McGuinn solo version is a completely different take from the version that McGuinn's band the Byrds would later release as a single and include on their Ballad of Easy Rider album. McGuinn continues to perform the song during his solo concerts and consequently a recording of it appears on his 2007 live album, Live from Spain. In the dvd : "stories, songs and friends" of Roger Mc Guinn, Bruce explore Roger's influence on the music of The Byrds and on his own music.
" Bruce is tremendous. We’re not close buddies, but we respect each other and we’re friendly. When Bruce played Orlando in 2008, he sent a car out for me so I could come and play along with him. I did "Turn, Turn, Turn" and "Mr. Tambourine Man."